书籍简介: Staying at the top of the real estate game is tough. That's why more than 1.3 million readers rely on the most trusted name in real estate―REALTOR® Magazine―for valuable tips on achieving business success. Now, you too can benefit from the magazine's insider insights and handy checklists in one information-packed volume! 1,200 Great Sales Tips for Real Estate Pros brings together all the best and most practical business-building ideas from REALTOR® Magazine's popular annual \\\\\\\\\\\\\\\\\\\\\\\\\\\\\\\\\\\\\\\\\\\\\\\\\\\\\\\\\\\\\\\\\\\\\\\\\\\\\\\\\\\\\\\\"list issue\\\\\\\\\\\\\\\\\\\\\\\\\\\\\\\\\\\\\\\\\\\\\\\\\\\\\\\\\\\\\\\\\\\\\\\\\\\\\\\\\\\\\\\\" in a simple, easy-to-use format. This unique guide is perfect for learning the business or mastering the most effective tactics and techniques for growing your business. 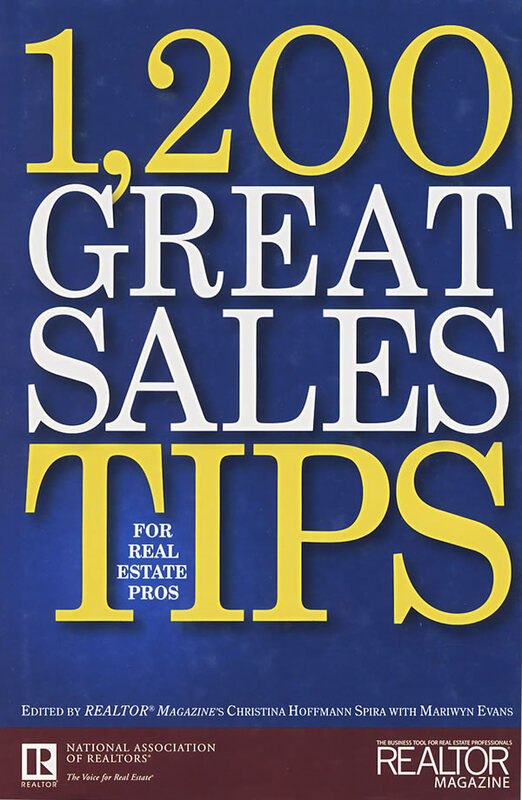 1,200 Great Sales Tips for Real Estate Pros is loaded with useful advice on everything from increasing sales activity, countering sellers' listing objections, and giving a great listing presentation to balancing your work and your off-hours life. It also provides strategies for getting positive PR, shaking off a sales slump, and much more. Complete with valuable tools, such as the bottom-line provisions of major real estate laws and a six-week guide to developing the perfect buyer seminar, this must-have book offers you practical guidelines to help you keep your career thriving. 1,200 Great Sales Tips for Real Estate Pros is divided into seven sections―prospecting, selling, knowing your market, staying out of trouble, time management, professional development, and personal growth―covering every aspect of real estate sales. This format lets you quickly and easily find just the information you need. If you want to get ahead and consistently grow your income, this quick-reference guide will instantly become your go-to resource for every day and every deal. estate professionals throughout the country. Register for REALTOR~ Magazine Online's free daily or weekly e-mail news service, covering market and industry trends; and its monthly e-mail Business Tips Newsletter,featuring sales and marketing ideas, tech-nology tips, interactive quizzes, and more, at REALTOR.org/realtormag.